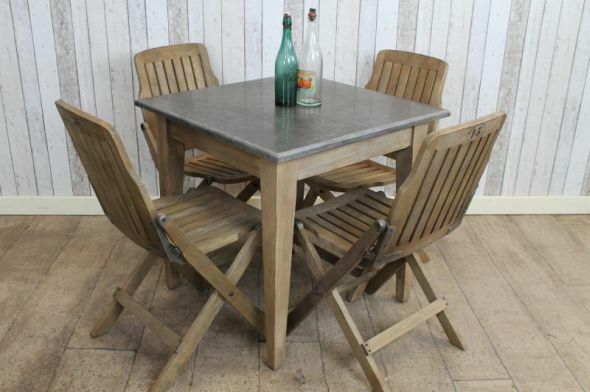 We now stock a range of blue stone restaurant tables with reclaimed pine bases. All of the stone tops are made of 1” thick blue stone which is extremely hard wearing; ideal for restaurant or café use. The tops can also be easily cleaned. These tables stand upon a square tapered leg base made of 100% recycled and reclaimed pine. The pine bases feature a water based stain, so they can easily be painted or waxed by yourself to match any interior. We also stock a round stone cafe table. Please see our other listings for more information.